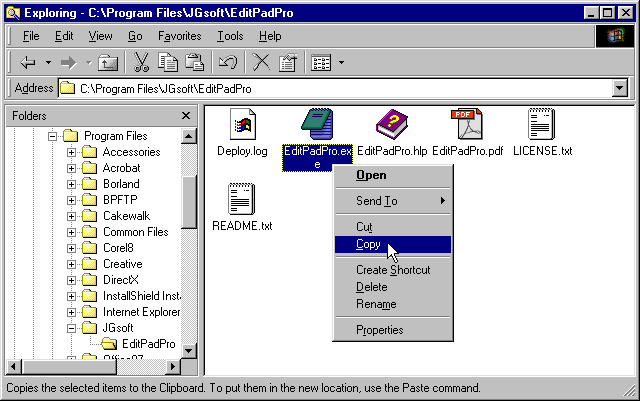 In this step by step guide, I will show you how to permanently replace Notepad on Windows 95 and 98 with the text editor of your choice. 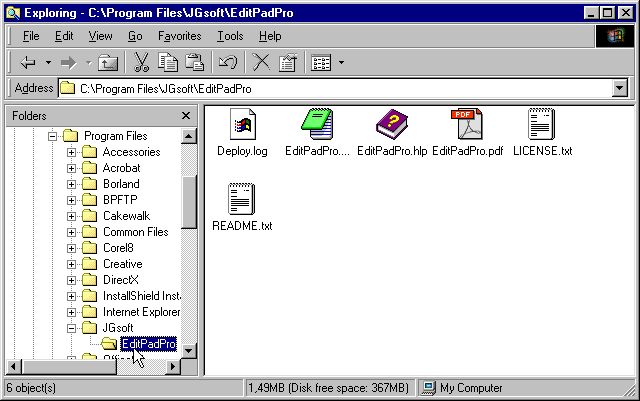 I am using EditPad Pro in the example but the procedure works with any decent Notepad replacement. I am showing how to do it with EditPad Pro simply because it is the editor I use all the time. This web site was created entirely in EditPad Pro, except for the graphics. 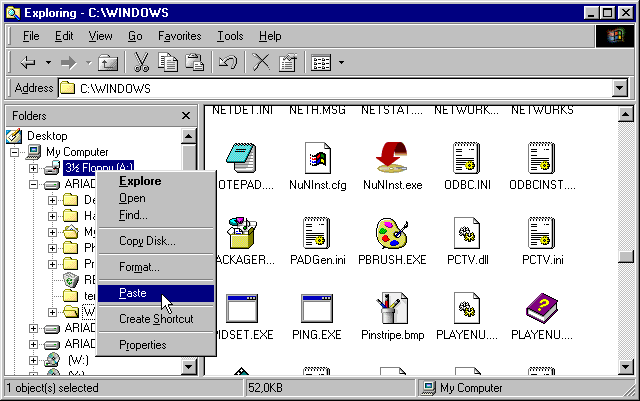 The screen shots were taken on a Windows 98 SE computer, but the steps are exactly the same on Windows 95 and the original Windows 98. 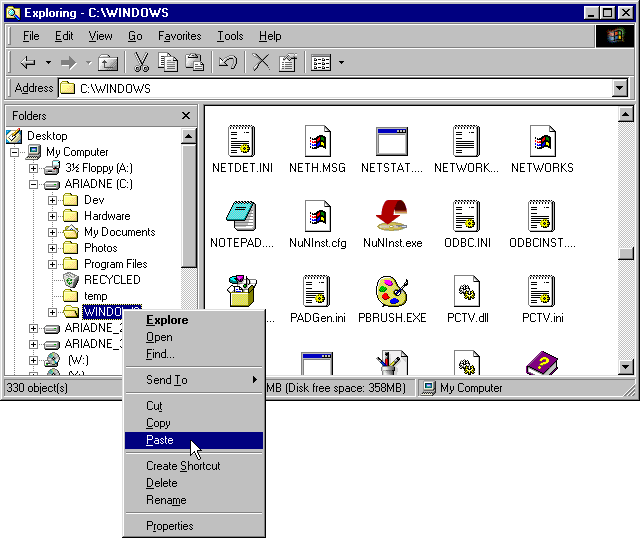 The steps below were written for Windows 95 and 98. 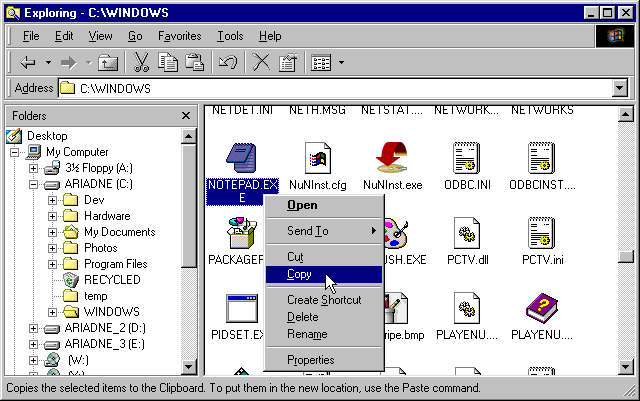 You can follow the same steps on Windows NT 4, except that you will need to use the C:\WINNT folder instead of the C:\Windows folder. Also, you will need to be logged in as Administrator to be able to replace Notepad.exe. 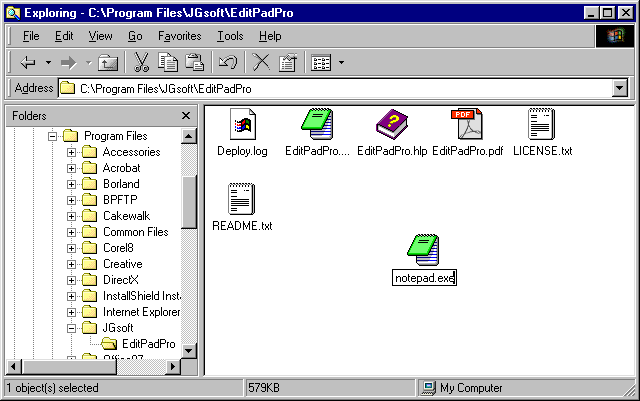 Find Notepad.exe in the C:\Windows folder using Windows Explorer. Right-click on it, and select copy from the context menu (screen shot). 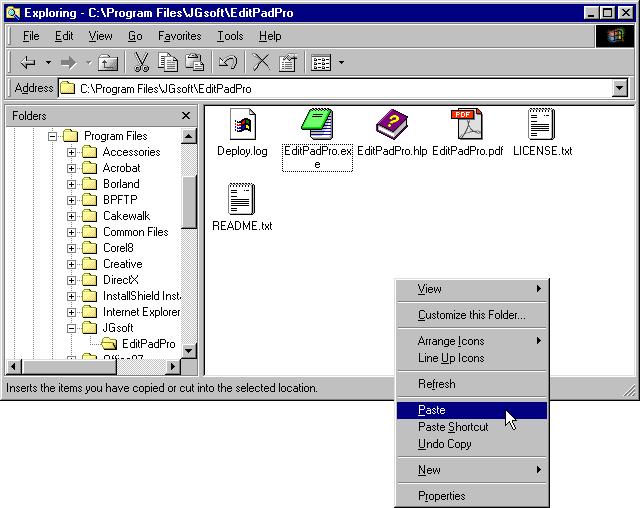 Use the folders pane in Windows Explorer to navigate to the C:\Windows folder. 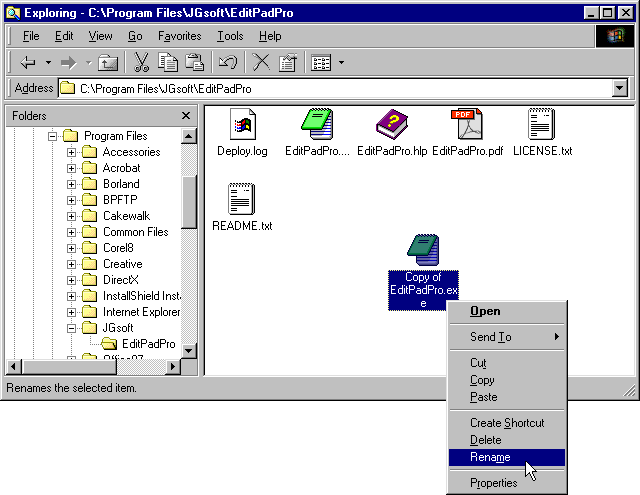 Then right-click on the C:\Windows folder in the folders pane. 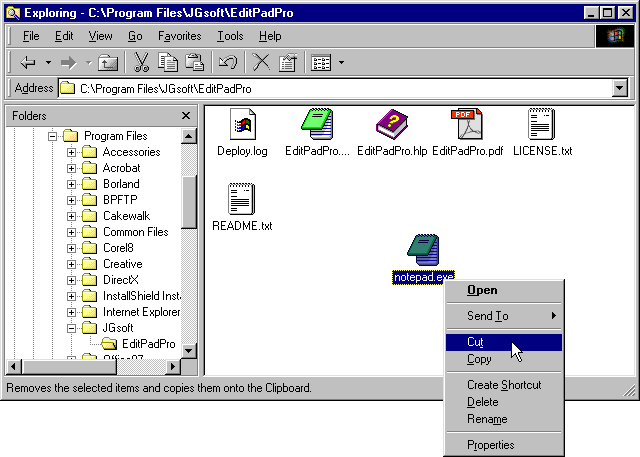 In the context menu, select Paste. 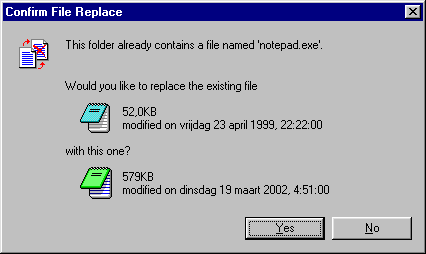 Windows will ask you if you are sure that you want to replace the old Notepad.exe with the new Notepad.exe. Click Yes.